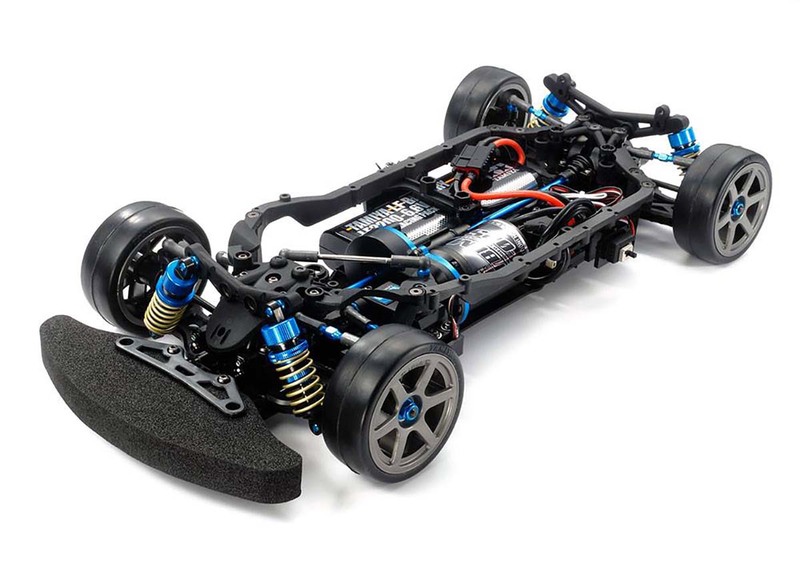 This assembly kit creates an efficient shaft-driven 4WD chassis. Its composite structure with integrated lower deck and side frame sections facilitates a largely symmetrical design for balanced steering. Choose between 2 layouts, with a front motor position for superb stability, or a rear motor for dynamic drive. Steering linkage components are bulkhead-mounted to eliminate effect upon chassis roll. With full ball bearings, universal shafts and gear differential units, the drivetrain is as smooth as silk.